How to get your book reviewed in my column. My life did a complete 180 recently, when I was diagnosed with cancer. All of my social activities have been cancelled until the first round of chemo and radiation are complete. In late June, the doctors will tell me what the next step will be, sort of like one of those treasure hunts on TV where you sweat and strive to get somewhere just to be told that you need to sweat some more to get to the next location. During this time, several friends from church have brought over meals for us. I'm very thankful for it, and I don't want to complain, but some of them didn't ask me what my side affects are, and the meals are something I can't have. Radiation irritates the lining of my throat. Pepper is painful. My taste buds have changed. Pizza tastes like plain tomato paste. But we came up with a solution to my "there are poor children in Africa that would love to have a meal like that" guilt trip. We found frozen entrees of macaroni and cheese. Now, when a friend sends over Mexican food, my husband and son can enjoy their wonderful home cooked meal, and I can have something that is easy to swallow. Yesterday, I noticed another need that probably doesn't occur to anyone. I know I didn't think about it when I was bringing meals to sick friends. My husband ran out of paperback books. My husband has to wait for me to get my procedures done. Some days, we have three or four doctor's appointments in one afternoon. It gives him hours and hours of reading time. On the way home from my appointment, we stopped by the grocery store to pick up a few things. They had a bargain bin of books. When my husband saw it, he started digging through the pile like a dog smelling the scent of a ham bone. So, if you are trying to be kind to someone with a serious illness, I'd like to ask you to do two things. First, ask about their dietary needs before you offer to cook dinner for them. Second, stick a paperback book in the bag, too. Some things should not be recycled. I picked up the May 2013 issue of Real Simple Magazine in my doctor's office, and came across an article about how to recycle old CD discs on page 42. They had ideas for using them as reflectors for car headlights, a sun catcher, and some other outdoor decorations. These ideas are so bad that I had to scribble a warning on the page, telling people not to do that. Several years ago, CD sun catcher crafts were all the rage. I made some to sell at craft shows. As I was sitting in my craft show booth, the sun began to set. The CD turned to just the right angle and caught the sun’s rays. It reflected the sun light directly into my eyes with laser point accuracy. It hurt like all heck. I saw CD shaped spots in my eyes for the next six months. It was just like do-it-yourself Lasik surgery. A few months later, I was at the corner of 12th Ave. and Bayou Blvd, watching a red light and waiting for it to turn green. A strong, bright flash of light would appear every few seconds. It was a CD sun catcher swinging in the breeze, hung from a balcony that was a good six to ten blocks away from the intersection. Even at that distance, the reflected light was strong enough to blind drivers and cause a traffic jam. CD sun catcher patterns should be crossed out of every craft program, book or web site. When I see patterns for these crafts, I try to post a warning about how these crafts can cause eye injury when they are hung outdoors. If you want to do a CD craft, only use the clear plastic disc that comes on the top of the stack, and is used for packing material. If it’s a real CD, sand the surface with fine grit sand paper and then spray paint the plastic with plastic model kit paint. Metal flake paint will sparkle, but it won’t put your eye out. A lot of the notices I've been getting from Pinterest tell me that my dragonfly swapping pin was a popular article in my newspaper column in the Examiner. In the back of the book, I've included patterns for SWAPS (Something Wearable Affectionately Pinned Somewhere) that are made from recycled or inexpensive materials. They seem to be a good craft project for this emblem, because so much of the focus is on being a good friend to others. If you're an author, this article will give you an idea of what a press release is like, as well as give you an idea for an author's blog. When authors blog about books, they can trade press releases with other authors who blog about books. A press release is a story that is already written, and can be republished at no charge. It makes it easy for everyone. Here is an article about how to write a press release about your book. The last five years of my mother's life, she was too feeble to get to a store. She spent most of her time in a recliner, reading books, working puzzles and watching TV. Her home was filled with books on a variety of subjects, and when she had reread all of those, she joined a mail order book club. She appreciated it when I would bring a book to her and say "here, I enjoyed this one. I think you'll like it, too." She agreed with me most of the time, and when she didn't, it just gave us something to talk about besides how bad her knees hurt. Writing book reviews is a continuation of that. I enjoy giving self published authors a platform in which they can be seen in my newspaper column. I like helping their rankings and sales, hoping that somehow, someone else will return the favor, and help my books get some exposure and ranking, too. But the real reason I do it is my mother. She's not the only one who can't get to a store. Some people are too busy with their jobs. Some people have disabilities. Some people have small children. I think of my reviews as a ministry to people who can't shop, helping them find a good book to make their life more enjoyable. When my husband and I attended a retreat about our spiritual lives, we were told that everyone should have a ministry of some kind. We don't all have to be preachers or missionaries to serve God. All we need to do is perform some small act of kindness on a regular basis because it helps someone some how. Perhaps writing book reviews can be your ministry as well. Help authors like me. Help people like my mother. And then go to sleep with a smile on your face because you did your good deed for the day. 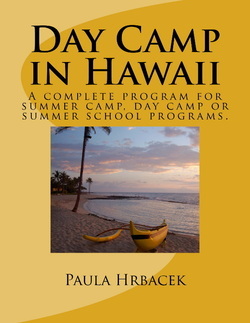 Day Camp in Hawaii is a program resource for camp directors, summer school or after school care programs. It's featured in The Examiner this week at http://www.examiner.com/article/a-new-book-to-guide-fun-summertime-activities Take a look at the article, and please tweet and share it with your friends. I've been looking for books to review for my newspaper column in The Examiner. I downloaded two books from ereadernews, but after the first chapter, decided to put them down. It wasn't the writing; that was good. It wasn't the genre; that was something I liked. It was the language. I worked in after school care for four years, and then became a teacher. Now that I'm "retired" (no longer seeking employment) I work at my church's gift shop. All three of those professions prevent me from reading books with foul language. If I read the words, they'll be tucked away in the back of my mind. Then, on the worst possible day, when I'm exhausted, hassled, and overworked, those words will pop out of my mouth when my guard is down. And, it will always happen at the worst possible moment, in front of the worst possible person. And then, I've got trouble. So, the easiest solution is to just avoid reading or hearing the language to begin with. Anyone who works with children or who provides a service to the public is in the same shoes. Foul language is offensive, and it just isn't permissible in a lot of situations. The easiest solution is to avoid hearing it, reading it or being exposed to it. So, if you want to sell more books, choose your words carefully. If you don't absolutely have to use that word, then use a better one. By now, you've figured out that I write two columns for The Examiner, a free online newspaper. One column is about children's arts and crafts, with a focus on youth groups, after school care, teaching fine art, and beginning crafts. The other column is about books, with a focus on sweet, mild, and clean romance, mystery and suspense, as well as news about children's picture books and books of interest to parents and teachers. Books Worth Reading--reviews of four and five star books. Art Lesson Plans--complete with Sunshine State Standards and assessment. Crafts--all types of beginning projects, many of which use recycled materials. 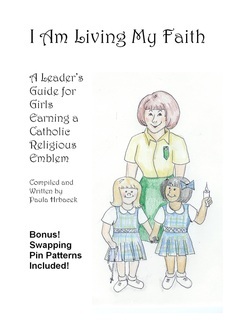 Cub Scouts and Girl Scouts--with suggestions of rank and requirements. Events in Pensacola--usually happenings at the Art Museum, or a fund raiser. Household Projects--stuff to do to your home. My books--yes, I'm proud of them and I want you to read them (and leave a review)! Wedding crafts--stuff I made for my children when they got married a few years ago. You'll have to wait a few more years for my youngest child to get married. Writing and Publishing--tips for authors. On Higher Ground is featured in this week's blog at Writing Life. http://www.maryannebenedetto.blogspot.com/ The book blog is hosted by Mary Anne Benedetto, an author and certified lifewriting instructor. She is the author of Eyelash, 7 Easy Steps to Memoir Writing: Build a Priceless Legacy One Story at a Time!, Never Say Perfect and From Italy with Love & Limoncello, Write Your Pet's Life Story in 7 Easy Steps! How successful do heroes need to be? I just finished reviewing yet another novel where the heroine was a best-selling author. Yes, I realize that authors think we have the best job in the world, and we want people to envy us, but the role of being a writer is being used in novels to the point of being a cliché. And then we complain about all the one-star wanna-be writers that are publishing on Amazon--people who are trying to become the same kind of person we admire. Mike Rowe, host of Dirty Jobs, gave a very moving speech to congress about the lack of skilled tradesmen. You can hear the speech here http://www.youtube.com/watch?v=cC0JPs-rcF0 He says that there aren't enough welders to hire. I know that our school district always has a posting looking for a welding instructor in our local high schools. If there aren't any teachers today, there won't be any welders in the future. Perhaps, we as authors should support our country by writing about skilled tradesmen in our books. I've known several sheet metal workers, ditch diggers and electricians. They were all nice, loving people with good values, a good head on their shoulders, and compassion for their fellow man. Perhaps all our heroes really need to be successful is a loving heart, a good home, and a willingness to work hard. Perhaps if we admire the strengths that make someone truly successful, and pay less attention to fame and fortune, we can encourage more people to become the same way. Not everything fits into the subject of children's arts and crafts or book reviews. In this blog, I share my opinions, how-to and advice on a variety of subjects.